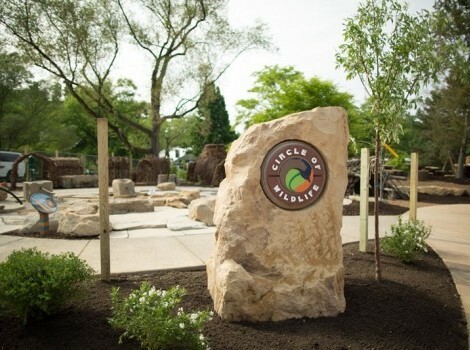 The Nature Discovery Ridge within the Cleveland Metroparks Zoo was designed to engage children in unstructured play with elements of nature found in Ohio such as sandstone outcroppings, willow thicket, animal shelters and wetlands. 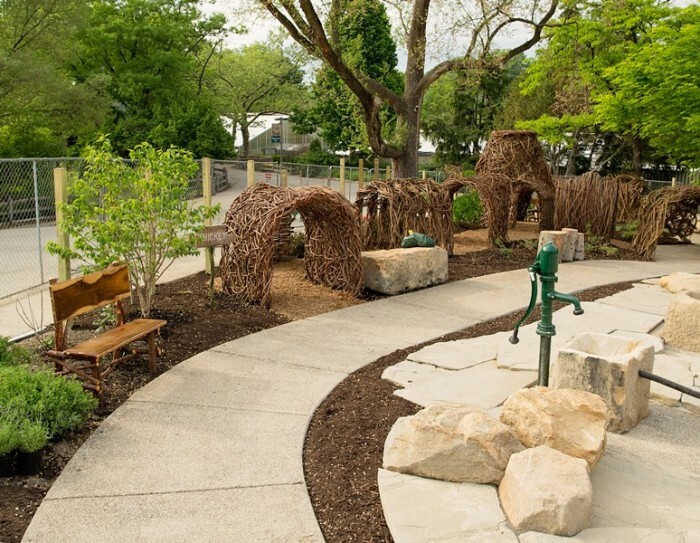 Ohio Willow was formed into a series of tunnels by Rick Pratt of Wooster. Running, climbing and exploring come naturally to children they come across the thicket. 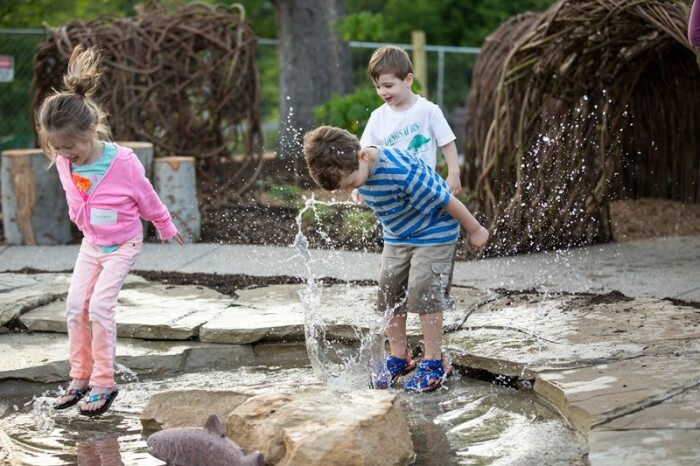 The water feature contains a series of pumps, hoses, and wiers that allow the children to divert and dam water while others just splash about. What could be more fun on a hot summer day. 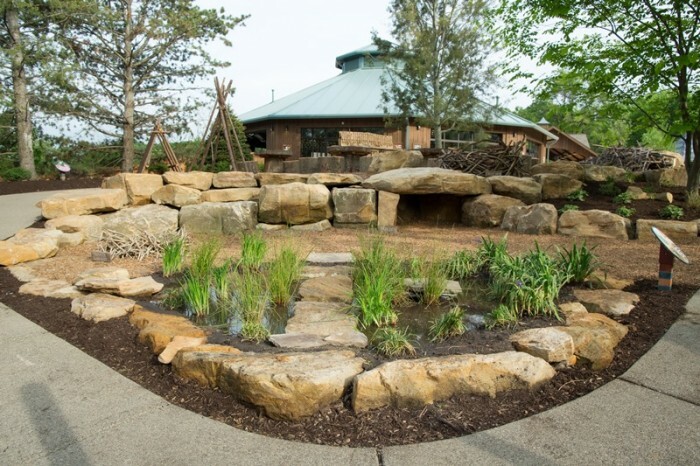 The Bog is just one area where children learn about the habitats of several Ohio animals including the Ruddy Duck, Hellbender, Laker Erie Water Snake, Beaver, Trout, Swan, White Tail Fox and American Eagle.